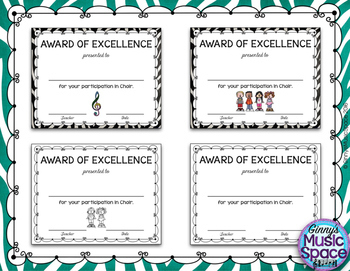 Are you searching for End of the Year Awards for your Choir Program? 8.5 x 11 inch Landscape Color and Black/White options included. PDF and PowerPoint files included. Directions on how to enter text in the PowerPoint files are included. 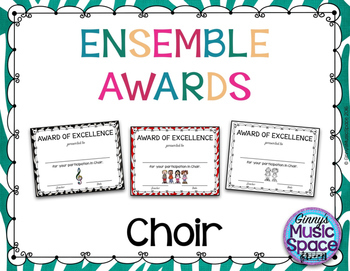 Need to purchase several Ensemble Awards? Purchase the BUNDLE here!Looking for something more customizable? 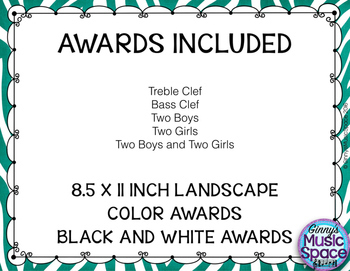 See Customized OPTIONS here!Looking for other Individual Ensemble Awards that are already made?